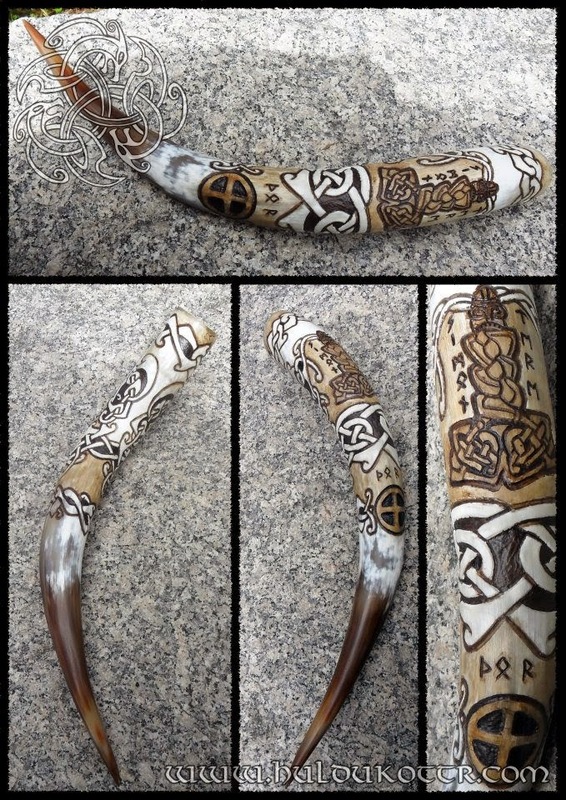 The Son Of Fjorginn Drinking Horn. Custom work for Mr Simon Gutural. 60cm/24". Patterns carved own designed. 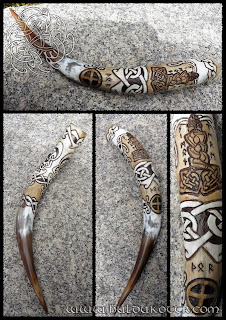 This is our first carved horn. We would like to give a special thanks to Simon for his faith in us for this work.